Happy Rosh Hashanah, y’all. Steph is no doubt prepping for tonight’s Seder, so I’ll amuse you until her post goes up around 8 p.m. EST. 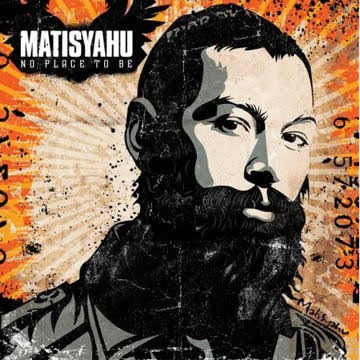 On the this, the Jewish year 5,770, I ask: Do you think Sony would have picked up Matisyahu were he not a Hasidic Jew? Not that Sony has a thing for the chosen people, but the novelty is undeniable. Dude wears the black jacket, long beard and wide-brimmed hat that says “I will judge you” whether worn by a Hasid or a Mennonite – hearing him lay down reggae-fringed hip hop will turn heads, if only out of curiosity. Hey Matisyahu – if I ask Hashem within the next five minutes, do I get another rope free, plus shipping and handling? I wouldn’t be so calloused, perhaps, if Matisyahu weren’t rapping at me from a highly-stylized music video, bankrolled by a major record label (props where props are due: he started off at JDub records, a not-for-profit label). Hashem forgive me, but when I hear Matisyahu, I hear a room full of suits capitalizing on mass insecurity and fashionable morality. If you want a yawner, check out his new album, Light. It’s enough to make Citizen Cope sound edgy.